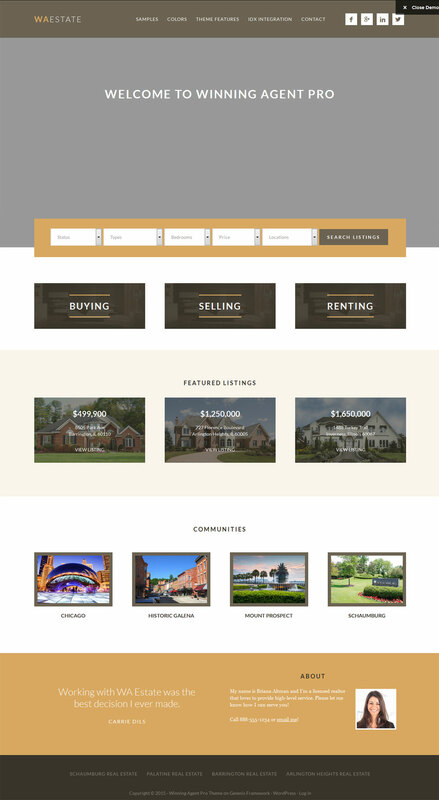 WordPress Themes designed for Real Estate Agents. Showcase your listings with this fabulous theme, available on Theme Forest for $48 USD. Fully responsive (fits all screen sizes), Google maps integration, custom colours and so much more! Contact us to purchase and install this theme!